I'm no expert when it comes to social marketing, but I have learnt some valuable lessons over the last two years about what works and what not to do. Twitter is one of those social marketing tools, I've recently rediscovered. I'm glad I did, because it has significantly increased the number of visitors to my websites and most importantly increased my earnings. If you are serious about building a successful online business, then you cannot ignore Twitter as one of your major marketing tools to achieve your goal. Like with all other social networking sites, it is important to connect with the right people and interact with them. If you only tweet about your latest offers and try to flog your stuff to your followers, you will be creating a lot of noise without anybody hearing. Twitter is about teamwork and collaboration. Reach out to the people you follow by responding to their tweets; reply with a positive comment or retweet (RT). The idea is that they will follow you back, return the favour and this way you will gain exposure to their followers. Be patient. You won't gain thousands of followers overnight unless you are a celebrity. You need to be persistent and keep putting in some work every day. If you only tweet once a week or less, then Twitter will never work for you, and you might as well just leave it altogether. Don't be tempted to buy 10,000 followers for a Fiver! Yes, these offers can be found on the net, but believe me, it really is too good to be true. You just end up with low quality (often fake) followers. If you are new to Twitter, you might be wondering what to tweet. From a technical point of view, your tweet cannot exceed more than 160 characters. When it comes to content, quality followers always value interesting, informative and humorous tweets. These are the ones that are most likely to be retweeted and ultimately gain you more followers. Notice the hashtags; these appeal to people with an interest in those topics and are using the Twitter search facility to find related information. Also notice the shortened link to my website, which is invaluable when you have to fit your message into 160 characters or less. Use hootsuite.com to shorten link addresses and schedule your tweets to save oodles of time (see my no. 1 Twitter efficiency tip below). Even if you don't yet have a lot of content on your blog, you can always provide your followers with interesting retweets. But be careful: always check out the links first before you RT them to avoid sharing any content that is unsuitable or contains too much advertising or pushy sales hype. Twitter isn't an exact science, it's trial and error, so keep learning and refining your tweets and interaction. Don't get involved in any negativity. Heated discussions, extreme opinions, nasty gossip and retweeting of unsavoury, possibly libellous messages won't help your business. If you disagree with someone, there is no point in responding with a dismissive comment. If I receive a negative reply to my tweets, I will unfollow and block the person without hesitation, so the same could happen to you. Not nice, so think before you stab! And if you don't like what they tweet, you can always unfollow them without any fuss. Keep it professional at all times. Remember, you're on Twitter to promote your business, not causing tension, getting into fights or legal disputes. Avoid the idea of competition. 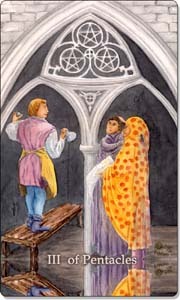 I follow many fellow Tarot readers, who I admire and enjoy reading their work. I don't hesitate retweeting their valuable messages for the benefit of my followers. Spread happy vibes, joy and fun. Cheer people up. Encourage them. Respond to them, when they contact you or even retweet your messages. Nothing is worse than ignoring people, who support you. Most of all, enjoy it! It's easy to make conversation with people on Twitter. I have made some great Twitter friends and in the process learned a lot from the people I follow and won new clients, too. When you do Twitter right and you stick with it, it's a win-win. Finally, here is my number one Twitter efficiency tip: auto-schedule your tweets with a social media management tool such as hootsuite.com or socialoomph.com. You can plan, save, set and publish your tweets automatically, spreading them throughout the day and night (for international followers), while you do other things or are asleep. It is important to keep your Twitter account ticking over with regular daily tweets (a minimum of 10 a day at different times) to reach as many of your followers as possible. All you need to do is spend five minutes to schedule your tweets for the day, and that's all. It doesn't take as much effort as you think. As you may have noticed the four elements represented by the cards shown are carefully balanced, which contributes to a successful Twitter campaign. Yes! Applying a little bit of Tarot and Woo Magick can make your working life so much easier and open doors to new opportunities. Wanting to boost your Twitter marketing and networking? Find out, which element you need to pay attention to at this moment in time to create a more balanced campaign. Shuffle your deck and pull a card. Which element does it correspond with? 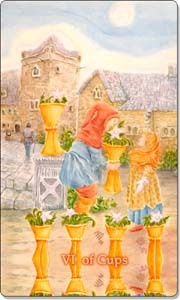 (Wands - Fire, Cups - Water, Swords - Air, Pentacles - Earth). What advice does the card offer? What do you need to focus on? 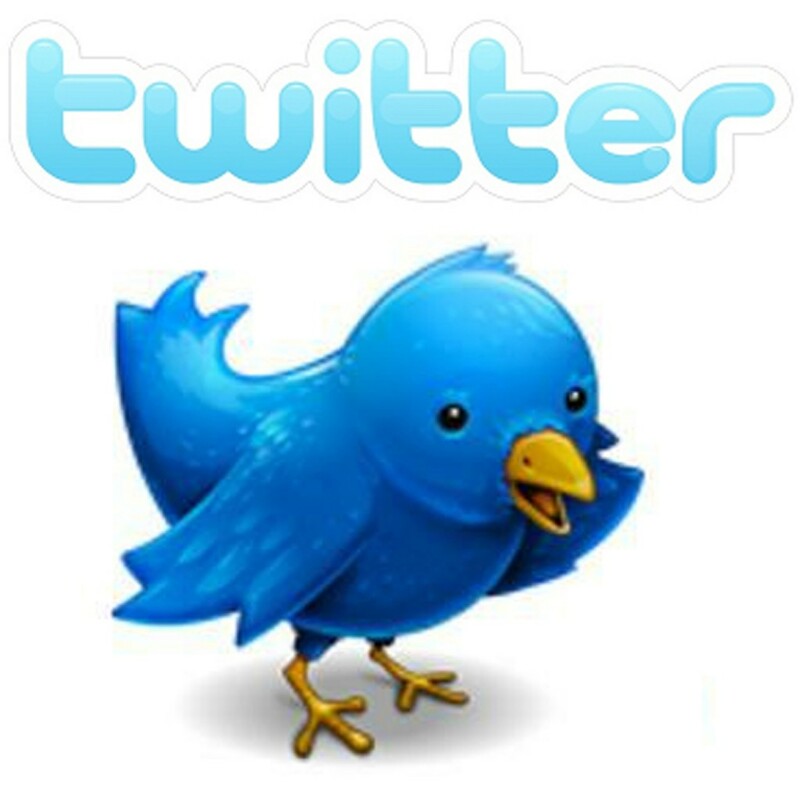 Ready to make Twitter work for you? Then don't forget to follow me and send me a tweet. I'd love to follow you back! And please do share your Twitter tips here by posting a comment below. Great read! I really like your approach to using the Tarot with Twitter! I am fortunate enough to be using it well and I think I do a fair job. 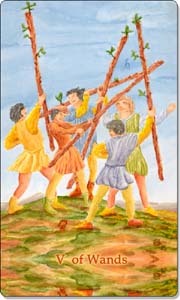 Drawing a card I got the 7 of Wands. From the elemental perspective I feel that I need to put more energy into my use of Twitter, and given that I was offline for 2 months recently the need for a recharge is definitely there! Looking deeper into the car I see it also saying that it's time to take a proactive stand on Twitter with my business. This applies for the other work that I do as a healer & intuitive. Thank you for your refreshing and inspiring post! Fantastic blog post Christiane! I've signed up to Hootsuite so I can send tweets through the night to perhaps reach people in different time zones! 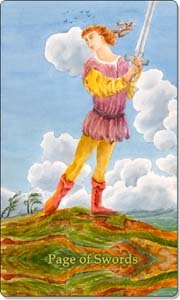 Pulled a tarot card and got 10 of swords- so looking to communicate clearly & effectively through the social networks! Many thanks to you for inspiring myself and others! Hootsuite is a good choice, Michele Eve ;) You can save your tweets as drafts and schedule them for later. You can even repeat the same tweets (which include links to your valuable website content) a few days later without having to retype them - such a time saver!